Does anyone else think little paint swatches are as cute as I do? I am absolutely fascinated by them. Even if I'm not planning on painting anything, I often find myself in the paint isle of stores just oohing and aahing over all of the beautiful vibrant colors. While paint swatches are considered useless garbage to most people, I'm always trying to come up with ways to use them creatively around my house! 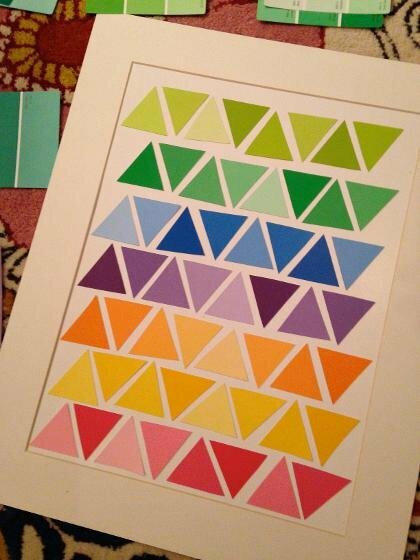 A few weeks ago, I got a hankering to make a piece of colorful art for our nursery--- I picked up a bunch of paint swatches, pulled out my scissors and got to work. An hour later, I was pretty happy with the results! If you're looking for a fun, inexpensive art project (kids would especially love this), look no further! paint swatches- the more colors the better! 1. Round up a variety of paint swatches. I used different shades and tints of the same color, but the sky is the limit as far as colors go! 2. 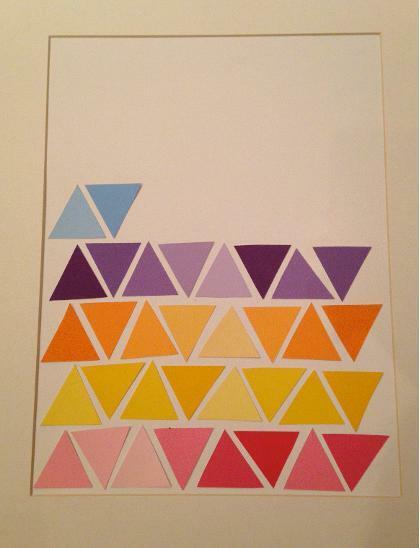 Cut out a triangle template, and then use it to cut out a bunch of colorful trianges from the paint swatches. 3. 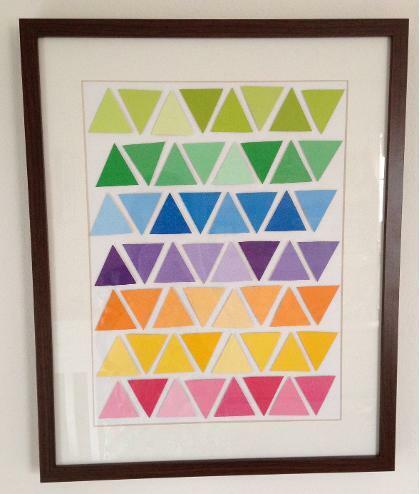 Arrange the triangles on a poster board or canvas however you'd like. I did 7 rows with 8 triangles per row. 4. Once the triangles are exactly where you want them, back them with the double sided foam stickers and stick them to the poster board or canvas (this will give the triangles a 3-D effect). You can get technical and use a ruler to be extremely precise, or you can just eyeball it like I did. I didn't want mine to look too perfect, so I went with a more "thrown together" look. 5. That's it! 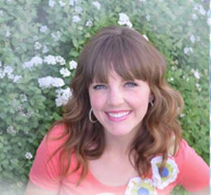 Pop the poster board into a matted frame and hang it up on your wall! What kinds of projects have you done with paint swatches?